For a non-vegetarian, it is next to impossible to give up chicken in order to lose weight. But, not anymore! The struggle ends right here; how, you ask? The answer to it is very simple. 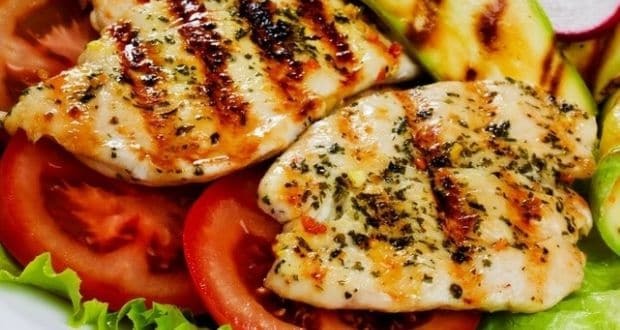 Chicken is a lean meat and doesn't put you at risk of high cholesterol. You may do away with all the creamy curries and rich sauces, and prepare your chicken in a healthy way with a mix of spices and fresh herbs. 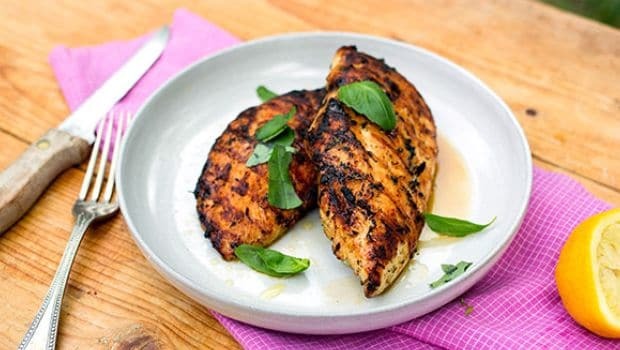 Chicken is full of lean protein that helps you keep full for a longer time and helps body burn fat more effectively. But, it is really important for you to have local farm-raised chicken. Avoid chicken that come in packets or frozen as they have preservatives and lack nutrients. You can grill it, stir-fry it or add it in stews to reap maximum benefits. Without a doubt, one must avoid fried chicken or chilli chicken that is prepared in restaurants, as they are loaded with calories. Eating homemade chicken tikka, tandoori or roasted chicken, chicken soup or chicken salad is the best and healthier way of eating chicken, especially if you are looking to lose weight. A perfect appetiser to all your parties, chicken tangdi kebabs are soft and succulent cooked in a melange of spices. 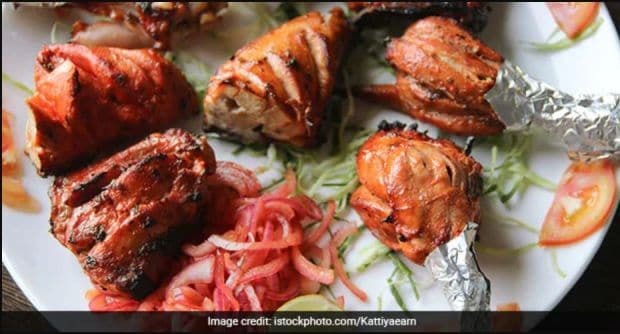 This protein-rich chicken kebab recipe has chicken legs marinated in a flavoursome paste and then tandoored/grilled to perfection. Garnish with fresh lime over the top and serve. A perfect dinner recipe for the ones who count their calories before eating their meal! This homemade grilled chicken escalope is marinated in spice powder and green paste. Grilled to perfection and served with a fresh salsa of grapes, spring onion and cherry tomatoes. A unique recipe with a twist of cranberry! 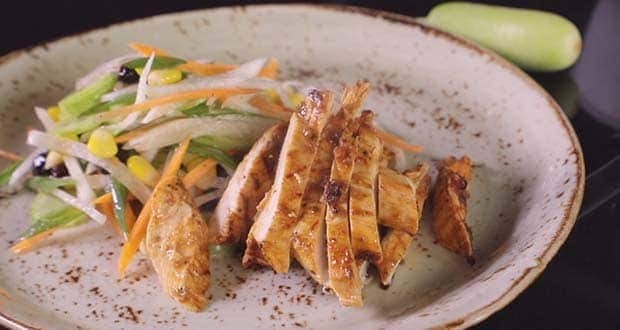 This delicious yet healthy chicken recipe does not require any introduction. Boneless chicken breast marinated in delicious paste of spices and cranberry, and pan fried till cooked and served along cranberry slaw. A perfect way to indulge in your chicken cravings post workout! Looking for a low-calorie dinner? You've come to the right place. Marinated with olive oil and mint leaves, just add a splash of lime and you're good to go. Serve a fresh veggie salad to round off the dish. 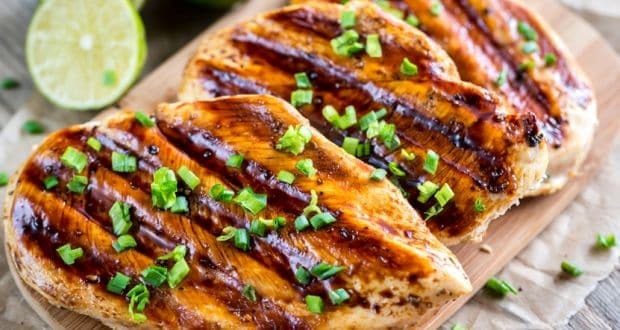 So, all the chicken lovers out there - stop controlling your cravings for chicken and try these indulging protein-rich chicken recipes at home today!